The Latino Democratic Committee of Orange County held their Twelfth Annual Fall Dinner Dance at Cafe Internationale in Newburgh, NY on Saturday, October 10, 2015. 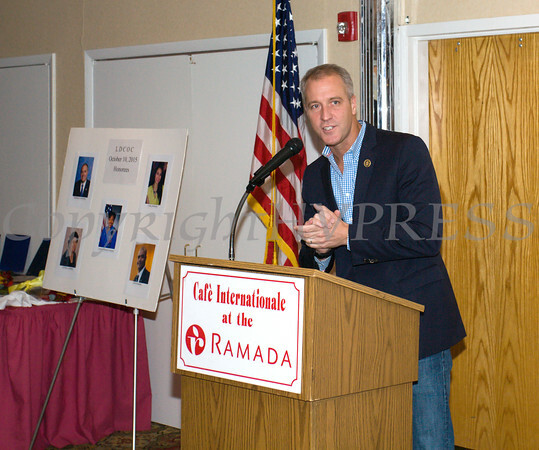 US Rep Sean Patrick Maloney offers remarks at the Latino Democratic Committee of Orange County Twelfth Annual Fall Dinner Dance at Cafe Internationale in Newburgh, NY on Saturday, October 10, 2015. Hudson Valley Press/CHUCK STEWART, JR.